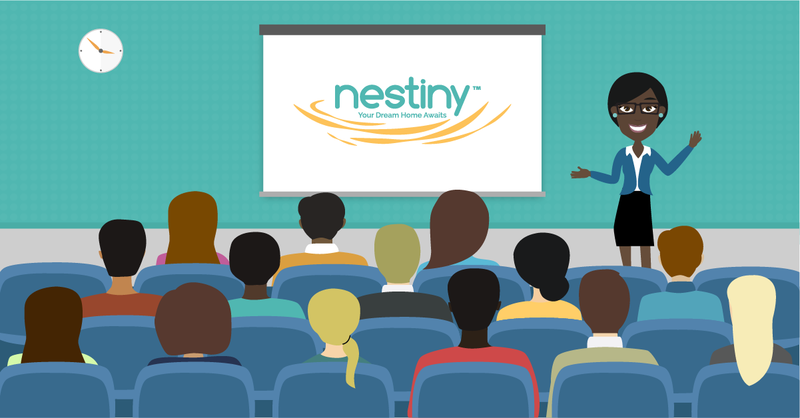 Nestiny Agent Funiversity - Stop stressing about your database — Build a highly engaged audience instead! Stop stressing about your database — Build a highly engaged audience instead! As an agent, I’ve been through plenty of classes about how to build and nurture your database. I’ve heard all the well-adopted tips for how to get the most of your database too. Always be adding everyone you meet, categorize them by your A, B and C clients, call them during your lead gen time block, drop off pop-by gifts and set up email drip campaigns to nurture them for starters. 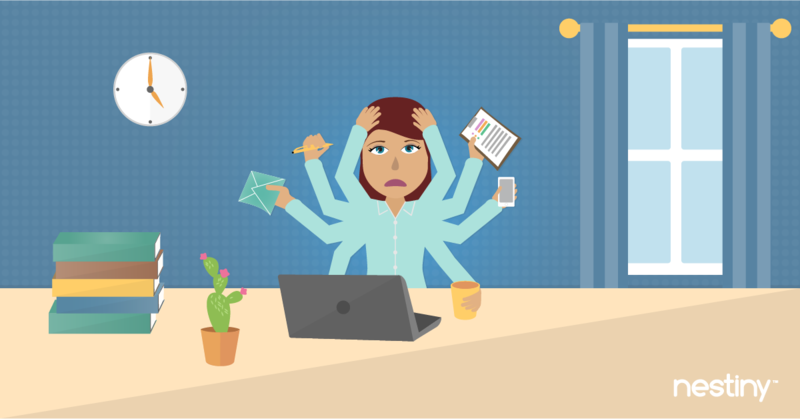 And while all of those things can and do work, it can turn into a never-ending parade of time consuming tasks for you to keep up with as a busy agent. I struggled with this as an agent too! I watched my agent friends scurrying around and burning the candle at both ends trying to be sure they kept adding names and contact info to their databases. Trouble was... there was rarely enough time for agents to do a great job of this without a full time assistant or highly evolved systems. I suffered from many panic moments where I remembered someone I forgot to add or follow up with as soon as I set my head on the pillow at night (of course!). When you’re a new agent, you’re adding contacts and you don’t have enough of them to go around. But as you become more experienced and meet new contacts, your database explodes so you don’t have enough time to do a good job of nurturing them. Catch 22! Moreover, I realized something incredibly profound when I stepped back and holistically looked at the things we were doing as agents. We had it backwards. We had it all wrong! It’s about THEM. How can we help them? How can we show them through our actions that we care about THEIR goals and plans? Here’s what matters. You should be 1000% focused on becoming a thought leader about real estate to everyone you encounter in your local market. The only way you do this is to shift your mindset into thinking about your “D” word as an audience or a community that you can build upon. Let’s go with the word ‘audience' because you want the people you encounter to be hanging on your every real estate word. You want them to be ready to tell a friend about you and your awesome and life-changing expertise. Similar to that blockbuster movie that everyone is talking about, your main objective in this ever-emerging digital age is to BUILD A HIGHLY ENGAGED AUDIENCE for yourself and your business. Well, how do you do that? In the absence of infinite time to do all the things we agents really want to do, you MUST give yourself leverage. But more importantly, you have to really come from a good place to truly build a highly engaged audience. Remember when I said we had it all wrong? We were so focused on what we wanted and needed to sustain our business? Those days are over. To build a highly engaged audience, you need to be viewed as a thoughtful, caring domain expert. Honestly, the only way you do this is with education. You’re gonna need fresh content you can consistently share out. It needs to be trustworthy to keep your clients on track. You’re gonna need to adopt technology that makes you look like you never stop working and makes you look good. You’re gonna need to make sure no prospect falls through the cracks and they believe they have your attention no matter where they are on their home journey. You’re gonna need help identifying those diamonds in the rough. You’re gonna need all the bells and whistles that modern day consumers expect — videos, quizzes, games, tools and it’s gonna need to be available 24/7. Tired yet from just thinking of all the work this seems to be, especially on top of all of your higher order tasks like selling homes, meeting clients and inspectors? No worries. We solve the time-crunch conundrum facing all agents. We’re the closest thing to an “easy button” agents can have! 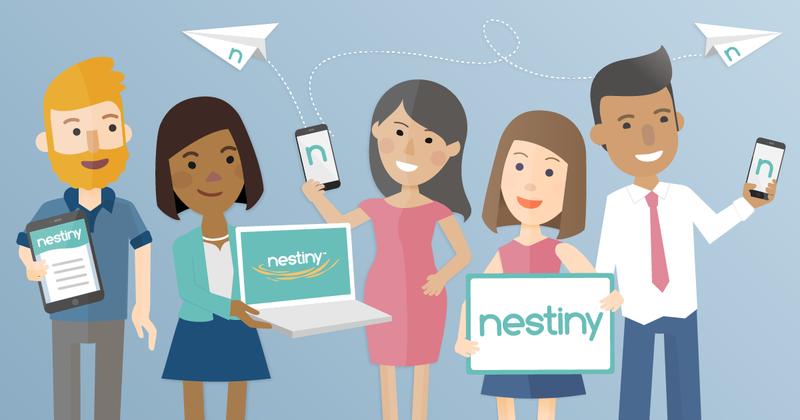 If you’re a forward-thinker and you recognize things need to change in this digital age to stay relevant as an agent — then Nestiny was built for you. If you’re embracing change head on and ready to empower the next wave of homebuyers and sellers — Nestiny was built for you! We’re here working alongside you to make the real estate experience better for all of us. Join us to create a better experience for your clients. We can do this! Chat with a Growth Strategist!